Loyalty is a hot topic today for brands that are looking to differentiate themselves from the competition. But, many brands are unsure how to approach loyalty beyond a rewards card or timely discount. The Loyalty Report, which surveyed over 6,000 consumers on over 160 loyalty programs, captured key insights about consumer attitudes, behaviors and interactions with brands. 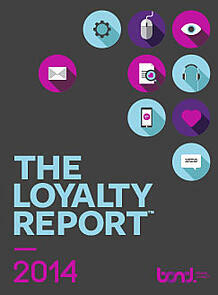 Though the report is rich with insights and trends, here are the top 10 takeaways from the 2014 Loyalty Report. Is your loyalty program an extension of the brand experience? Brand alignment is one of the important loyalty design principles we embrace, and refers to the proper relation of the program components to the attributes embodied by the brand. Brand-aligned programs hold tremendous potential for driving customer satisfaction, propensity to advocate, and propensity to repurchase. In fact, Members in brand-aligned programs had 3X higher customer satisfaction, 6X higher likelihood to recommend, and 8X higher propensity to purchase again. 2. Loyal to the Brand or to the Program? 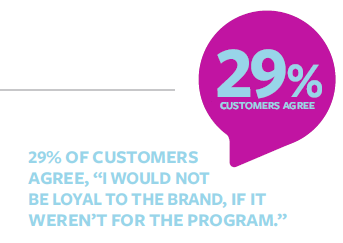 29% of Members would not be loyal to the brand, if it weren’t for the program. Fostering program love is a worthy pursuit for loyalty marketers; it is well published that program loyalty is effective in achieving desired business results for brands. However, program loyalty is short-term thinking, especially for brands whose program value proposition is anchored in an undifferentiating discount and/or monetary incentive. The higher order objective for brands is brand love, as brand love is what cements Members’ loyalty to the brand, and is also the ultimate defense against competitive threats. Does your brand reward and recognize your customers with meaningful non-monetary benefits? The bottom line is that you can offer your consumers more than just the bottom line. Non-monetary benefits, such as status, access, events and experiences, and even the opportunity to contribute product ratings and reviews, feedback to brands, have much higher importance among Members who deem their program experience as part of their relationship with the brand. Discounts have a role, but non-monetary benefits increase in importance to customers as customers’ tenure with a brand increases. 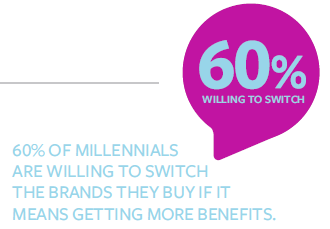 60% of Millennials are willing to switch brands they buy if it means getting more benefits. Increasingly, Millennials are a key segment that brands target in their marketing and loyalty efforts, due to their spending power, love of rewards and affinity for brand experiences. Loyalty programs are an important means through which brands are creating loyalty with Millennials, especially for brands in CPG, telecommunications, and entertainment. We found that Millennials are the customer segment most willing to modify how they shop, in order to maximize the benefits they get from loyalty programs. Sixty percent are willing to switch the brands they buy, if it means getting more benefits. And one-third of Millennials have confessed that they’ve bought something they didn’t need or want in order to earn points or maintain status benefits. In many ways, Millennials are the most loyal customers – provided the brand knows how to connect with them in ways they care about. They are very clear that fair value trade-offs must be two way and beneficial to both brands and consumers. 38% of customers surveyed said that loyalty programs wanted more information than they were willing to give. With large data breaches in recent history, many consumers are feeling a little hesitant about sharing their personal information with brands. We found about one-third of those surveyed were concerned about how brands would use their personal information, and were unsure why programs require it. 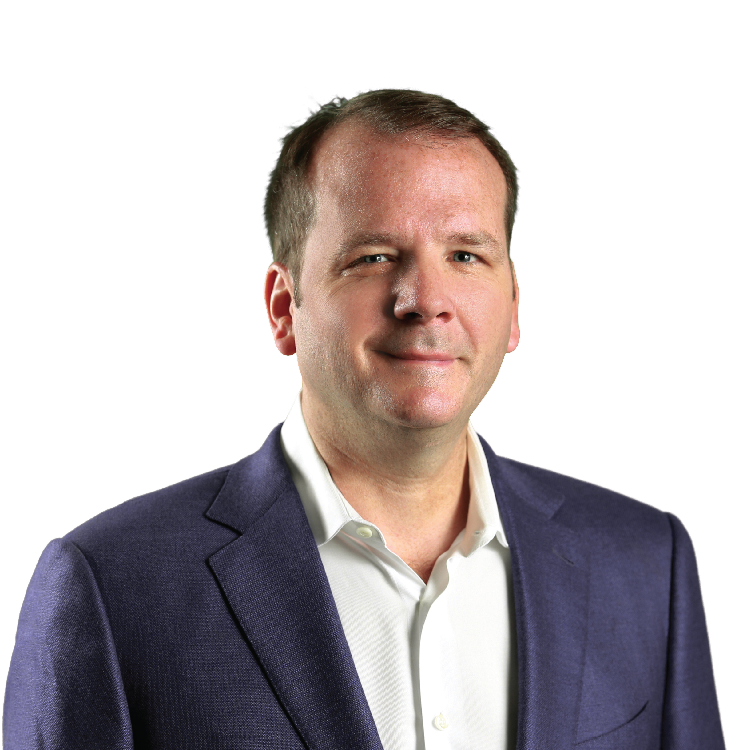 Herein lays the crux of the Privacy Paradox: While Members of loyalty programs expect more customization and relevance from brands, they are reluctant to share their personal information that would make relevance possible. Willingness to share personal information is strongly correlated with trust; forty-nine percent of Members who strongly believed a program is trustworthy are willing to share information – over 3X the average. The key here is for brands to cultivate trust with their Members through transparency, informed consent with regards to opting in to sharing personal info, and for brands to respect boundaries and not to go seeking their Members on their personal social accounts. Member satisfaction with the loyalty program is nearly 4.6X higher among consumers who strongly agree that the communications they receive from the brand are relevant. Relevance in a world with a proliferation of marketing messages can be a challenge for many brands. However, relevance is one of the key ways to increase Member satisfaction. This is because if a brand can offer customers what they want, partly based on their consumer habits, lifestyle cues and previous purchases, the brand moves ahead of the curve with regard to selling its product or service. 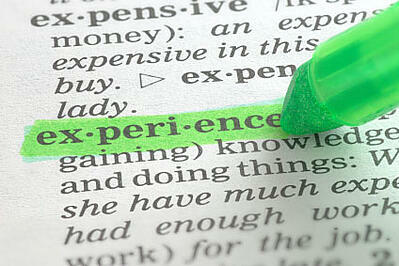 Relevance also goes a long way toward increasing customer satisfaction with the program. Never has the sentiment been truer. 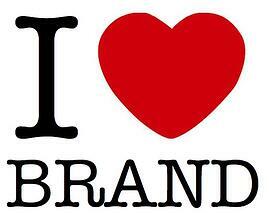 Every action a brand takes either builds or erodes customer loyalty. 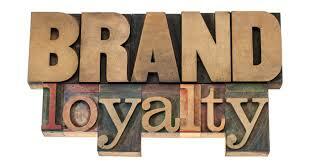 Loyalty today is not (just) a loyalty program, rather it’s the relationship and the sentiment elicited by the brand. It’s time for brands to look beyond points to establish deep, meaningful relationships, even bonds, with their customers in ways that are engaging, emotionally rich, and brand aligned. Though loyalty programs are intrinsically linked to brand loyalty, it takes more than points and rewards to build true loyalty. In our study, we found that brand loyalty is created through a myriad of factors that all tie back to increased customer satisfaction, including, but not limited to, brand alignment, relevant communications, non-monetary rewards, and engagement with the brand via experiences and events. There must be a human connection that exceeds a single purchase or timely redemption, a connection to the brand that triggers an emotional response that bonds them to the brand – for as long as that brand is faithful to its brand promise. Every brand wants its consumers and loyalty program Members to be its loudest and proudest advocates. But, how does one cultivate brand loyalty? One answer surrounds the application of customer experience principles specifically for Members (not customers) of the loyalty program. We found that brand love strongly correlates with the elements associated with strong customer experience. Members who state high brand love also tend to state feeling delighted, feeling special, feeling recognized, feeling inspired by, and feeling confident with their brand experiences – all of which are essential pillars of effective customer experience marketing. 72% of customers are interested in interacting with their loyalty program through a mobile device. Many brands are releasing mobile apps within their loyalty program to satisfy more digitally inclined customers, in particular Millennials. While Millennials aren’t the only consumer segment who have their smartphones permanently glued to their hands, they are leading the demand for mobile engagement. In fact, in this age of digital ubiquitousness, Millennials have come to expect it for many programs. There is a tidal wave of market factors related to mobile converging in the marketing space – this can be dizzying for marketers and for consumers to decipher – mobile payment, digital wallet, e-receipts, location-based services, communications and more. 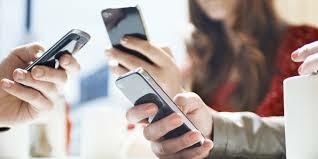 It is exciting, yet this market’s complexity is likely one factor impeding marketers’ progress in mobile. Another factor impeding marketers’ progress is that consumers appear undecided on exactly what mobile features they want. For instance, our study reveals that interest in mobile is especially high, yet interest in any one thing specifically is low. Marketers have long used customer satisfaction as a straightforward and reliable measure of the extent to which products and services meet or exceed a customer’s expectations. We selected customer satisfaction as the metric by which we rated and ranked over 160 loyalty programs. Top ranked programs across a variety of verticals include Starbucks, Kohl’s, Nordstrom, Rite Aid, CVS, AMC, Dove, Coke and Giant Eagle. For more in detail rankings and ratings across all industry verticals, including payments, hospitality, travel and more, download The Loyalty Report.